Julphar, one of the largest pharmaceutical manufacturers in the Middle East and Africa (MEA), leverages its strong manufacturing base and its integrated network of solutions to augment its business. But, cost efficiency is a cause of concern to look upon. The company finds growth opportunities from business expansion, strategic initiatives and growth prospects in the Middle East and North Africa (Mena) region. However, intense competitive pressures, stringent government regulations, and risks related to counterfeit drugs could adversely affect its profitability in the long run, GlobalData said in an analysis of the company. Manufacturing Base: The company has a strong manufacturing base of 16 production facilities which are internationally certified and which hold about 4,074 product registrations. 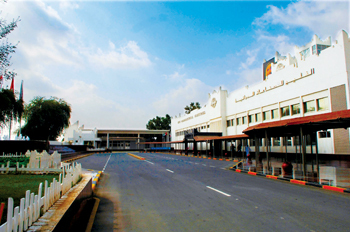 The company operates 13 facilities in the UAE, one each in Bangladesh, Ethiopia and Saudi Arabia. Its production facilities manufacture different types of products targeting major therapeutic segments including wound care and biotechnology, pediatric primary care, adult primary care, gastro care and pain management, cardiopulmonary care, women care, and consumer care. Integrated Network: The company offers an extensive range of products that has helped the company tap the market potential in the countries of its operations. As of December 2016, Julphar has a portfolio of more than 194 branded products, 83 registered products in 40 countries worldwide. 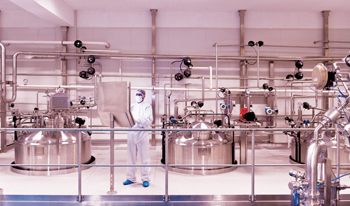 The company manufactures various drugs including anti-infectives, products for oral cavity and gastrointestinal tract, nutrition and blood, skin, respiratory system, musculoskeletal and joint diseases, cardiovascular diseases, central nervous system, endocrine system, local anesthesia products, immunosuppressants, and others. Some of the major branded products of the company include Fosipril, Lisotec, Captophar, Narapril, Adol, Jusprin, Profinal XP, Adol Compound, Adol Extra, Calyptus, Muscadol, Mebzol, Albenda, Amirone, Lomax, and others. Growth Prospects: The company could leverage the growth prospects in the Mena region to enhance its business in the future. The Mena pharmaceuticals market is dominated by the Gulf Cooperation Council (GCC) countries and Iran, in terms of sales. According to industry experts, GCC’s health expenditure is expected to reach $133 billion by 2018. According to experts, GCC generics market is a rapidly growing market and is expected to reach around $10 billion by 2020. Major trends likely to have positive effect on healthcare expenditure in the GCC region include growth in affluence in the region driven by soaring oil prices, which translate into growth in demand for premium healthcare facilities; growing cases of chronic diseases; high health insurance penetration; and the development of the region as a major medical tourism destination. As the company reports majority of its sales from countries such as Saudi Arabia, Iraq, UAE, Afghanistan, Lebanon, Jordan and Libya, it could capitalise on growth prospects in the region. Strategic Initiatives: Julphar implemented strategic initiatives that are aimed at enhancing its existing product line. In October 2016, the company launched two medications prescribed for the management of Type 2 diabetes: Xelevia and Velmetia. The launch of Xelevia and Velmetia is part of the company’s continuing mission to develop its diabetes portfolio, to support healthcare community in the region. Business Expansions: The company implemented certain expansion initiatives that are aimed at enhancing its business operations. In April 2017, the company inaugurated its new Julphar Saudi Arabia pharmaceutical manufacturing facility. Through the opening of new facility, the company strengthened its biggest Saudi Arabia market. The medicines will be manufactured locally, which will reduce the cost of production. The new plant also supports the company’s vision to expand its manufacturing presence in the region. Counterfeit Drugs Market: The global pharmaceutical industry is facing a severe challenge related to counterfeit drugs, and Mena is no exception. According to World Health Organization (WHO), the Middle East market is facing a significant challenge related to counterfeits and the illegal re-importation (parallel trade) of medicines, and the organisation’s estimates suggest that as much as 35 per cent of the entire pharmaceutical market in the Middle East may be illicit in one way or the other. The company, as a major player in the Mena region, is exposed to risks related to counterfeiting of drugs, which could have an adverse impact on its business. Government Regulations: The pharmaceutical markets are highly competitive and evolving, which could be a cause for concern to the company. With the entry of more new players in this market, competition is expected to intensify in the near future, which could result in price reductions. The company operates in a highly regulated industry, where a variety of statutes and regulations are in place for the testing, manufacture and sale of therapeutic products. The company has to obtain regulatory approvals in respective countries before commercialising the products. The failure to comply with the present or future regulations related to clinical, laboratory and manufacturing practices may result in delayed approval of drugs, product recalls, and cancellation of permission to produce or sell the drugs. Increased regulation of the drug market could increase the company’s costs by increasing the time and cost of bringing drugs to market. Competitive Landscape: The company’s markets are characterised by intense competition, evolving industry standards and business models. Various companies in the GCC region offer similar solutions and products offered by Julphar. Intense competitive pressure could affect the sales of company’s products in the market. The company faces significant competition in the Mena and the GCC market from various companies such as Elis Pharmaceuticals Ltd, Globalpharma Co, Neopharma, Yiaco Medical Co, Barakat Pharmaceutical Industries and various others. The company also faces significant competition from various multinational pharmaceutical firms providing similar types of products and services.